New Event at the EH Festival: Bag-a-Bottle! Bring in your bottles-in-a-bag to the school office ready for our new event! Fill a wine gift bag with any bottle that will fit: shampoo, household cleaners, bubble bath, wine, maple syrup, etc. 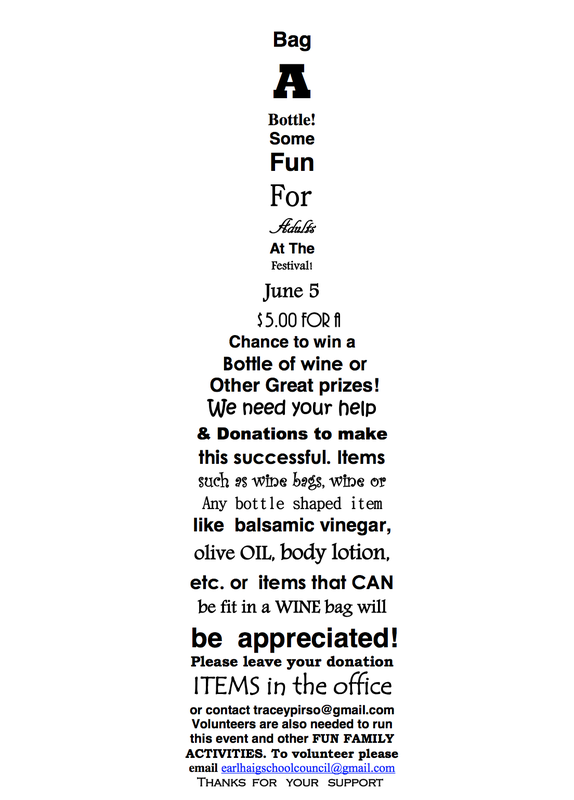 On June 5th, pay $5 to pick a Bag and Win a Bottle! You never know what you might win!! Next Next post: If you have a child at Earl Haig, you have a say!! Come join us for the first School Meeting of the Year! Daycare is Provided!